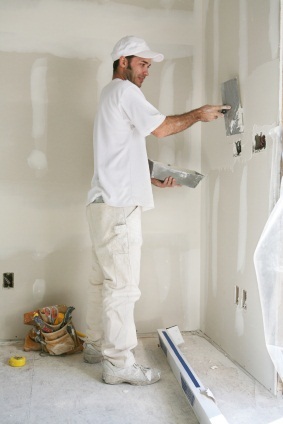 J. Mota Services's skilled handymen also provide drywall repair services in Newton Lower Falls. J. Mota Services has been in the drywall repair business for 12 years, improving homes in Newton Lower Falls, Massachusetts one room at a time. We guarantee that your drywall repair job results in a smooth surface that is ready to take on color. If you wish, we can apply uniform color over the entire surface. We've been handling drywall repair to Newton Lower Falls homes since 2007. J. Mota Services installs drywall and blue board on interior walls and ceilings. J. Mota Services will make sure that you get the correct drywall for your Newton Lower Falls home improvement project. We do a quality job from start to finish, making sure all walls are free of punctures and dings prior to painting or plastering. Attention to detail sets J. Mota Services apart from other Newton Lower Falls drywall contractors. We've been in business for 12 years. Whatever look you're going for, J. Mota Services can make it happen. Call (781) 281-9282 to schedule a free drywall quote for your Newton Lower Falls home.